Music is an integral part of our worship and the Cathedral takes great pride in the music performed at its services. 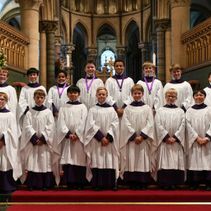 The Cathedral Choir is made up of 12 lay clerks (professional singers), 25 boy choristers aged between 8 and 13 years, and a Girls’ Choir, formed in 2014, consisting of 24 members aged between 12 and 18. The Cathedral Choir comes under the direction of Dr David Flood who is Master of the Choristers and the Cathedral Organist. 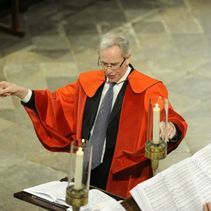 He is assisted by David Newsholme, who is also Director of the Girls’ Choir, and Adrian Bawtree, Second Assistant Organist. CDs of choir recordings are available in the Cathedral Shop, or online. 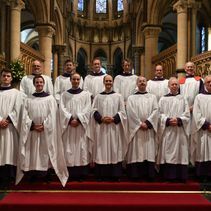 Canterbury Cathedral lay clerks (4 basses, 4 tenors and 4 counter tenors) all have a high standard of vocal training and ability and, while following a parallel career in another field, sing at services most days. 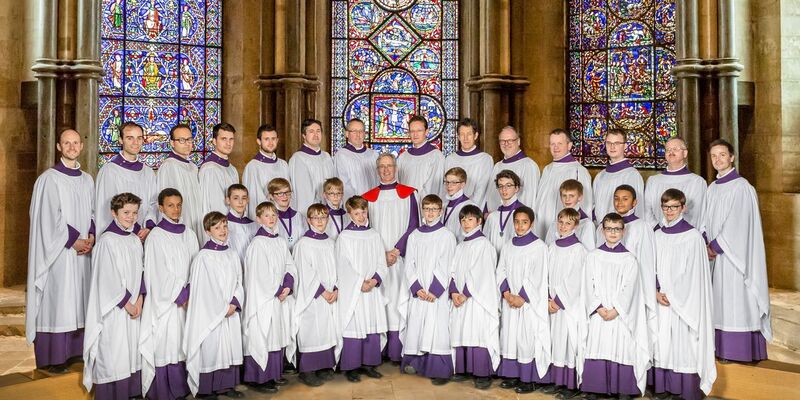 The choristers of Canterbury Cathedral sing at services on six days a week, continuing a 1400 year old tradition and making it one of the longest-established musical foundations in the world. 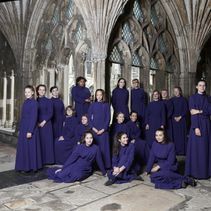 Canterbury Cathedral Girls' Choir, formed in 2014, sings at Evensong in the Cathedral twice every month, frequently with the lay clerks. The majority of the Girls' Choir attend local schools in Canterbury and they rehearse each Wednesday evening. 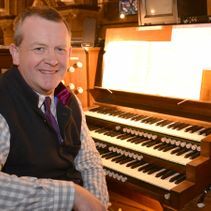 Dr David Flood is the Master of the Cathedral Choristers and the Cathedral Organist, and as such is responsible for every aspect of the Cathedral’s music programme. 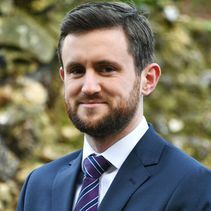 David Newsholme is Assistant Organist and Director of the Girls’ Choir at Canterbury Cathedral. Adrian was appointed Second Assistant Organist in September 2015 having been organist at Rochester Cathedral.